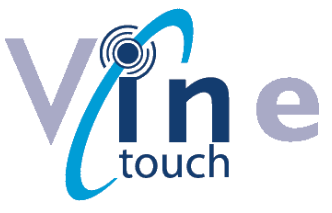 Vine Ride East 2017 is a charity bike ride event consisting of Seven members of the Vine Team (collectively known as the Vine Velos), the team will be cycling 74 miles from the Vine offices in Sandy to Taylor Wimpey's development at King's Reach, King's Lynn on Sunday 17th September, to raise money for the Teenage Cancer Trust. Vine Ride East 2017 arose from a lunchtime conversation between Les Stanton, Director and Helen Riley, Senior Project Manager, who then went to enlist the support of their colleagues. Team members are from: Engineering - Andrew Adeyemi, Chris Simpkins, Helen Riley, Jess Nacci and Les Stanton (Team Captain), Facilities Management - Karl King, Support Services - Sue Rapley. But being Vine, of course the whole team is involved. Everyone has joined in with ideas for promoting the event and raising sponsorship. Avril Bird, Director, has volunteered to drive a support vehicle on the day and provide first aid. Family and friends have also been encouraged to contribute - Paul Riley (Helen's Husband) and keen cyclist has been providing training support by mapping suitable training routes and providing technical and training advice. Paul and his company - Total Soft Water Ltd - will also be providing a support vehicle on the day.